Here are some snazzy birthday facts about 11th of August 1929 that no one tells you about. Don’t wait a minute longer and jump in using the content links below. Average read time of 10 minutes. Enjoy! What day was my birthday Aug 11, 1929? August 11, 1929 was a Sunday and it was the 223rd day of the year 1929. It was the 32nd Sunday of that year. The next time you can reuse your old 1929 calendar will be in 2019. Both calendars will be exactly the same! This is assuming you are not interested in the dates for Easter and other irregular holidays that are based on a lunisolar calendar. Fun stat: Your first one billion seconds (1,000,000,000) happened sometime on April 19, 1961. If a dog named Kukio - a Portuguese Water Dog breed, was born on the same date as you then it will be 420 dog years old today. A dog’s first human year is equal to 15 dog years. Dogs age differently depending on breed and size. When you reach the age of 6 Kukio will be 42 dog years old. From that point forward a medium-sized dog like Kukio will age 4.5 dog years for every human year. Battle of Adda: The Goths under Theodoric the Great and his ally Alaric II defeat the forces of Odoacer on the Adda River, near Milan. The Battle of Otlukbeli: Mehmed the Conqueror of the Ottoman Empire decisively defeats Uzun Hassan of Aq Qoyunlu. Two Aeroflot Tupolev Tu-134s collide over the Ukrainian city of Dniprodzerzhynsk and crash, killing all 178 aboard both airliners. What does my birthday August 11, 1929 mean? 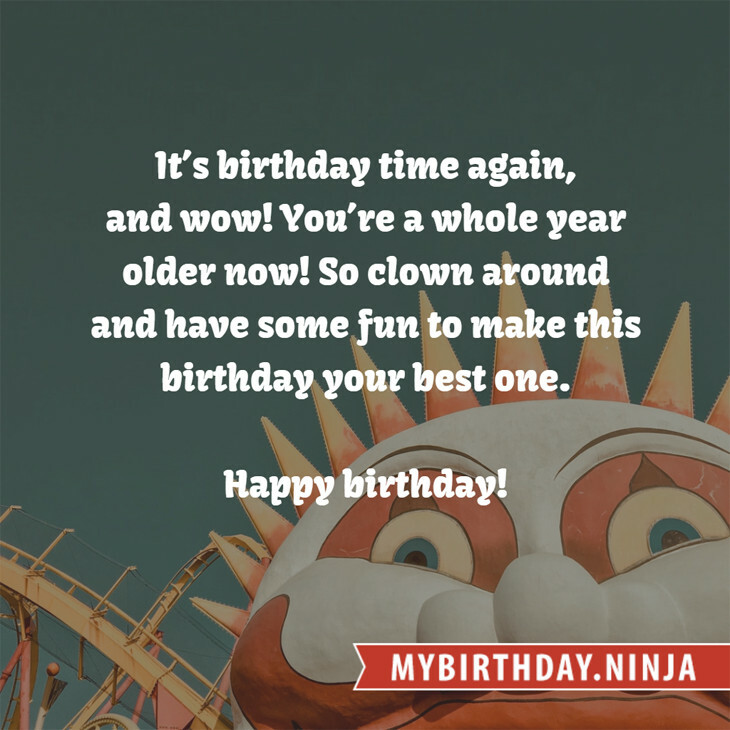 Your birthday numbers 8, 11, and 1929 reveal that your Life Path number is 22. It is a master number that represents practical idealism and material mastery. You were born under the most powerful and potentially the most successful of all Life Path numbers. The following celebrities also have the same life path number: Dmitry Koldun, Saira Banu, Emiri Katō, Kim Hye-soo, Juan Pablo Di Pace, Hermione Baddeley, Philip Anglim, Fred Ball, Tobin Bell, Elle Fanning. 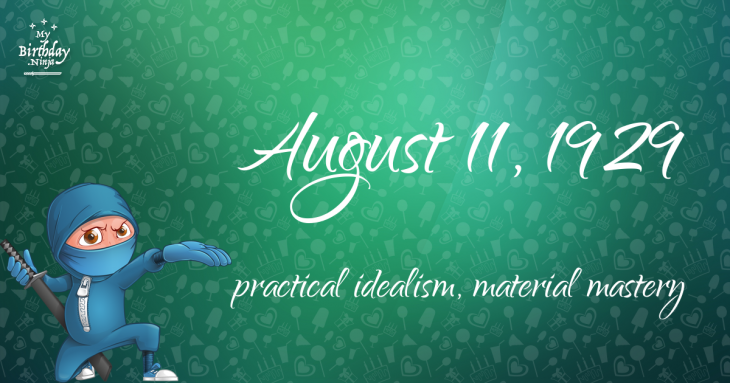 What is the birthday horoscope for Aug 11, 1929? The Western zodiac or sun sign of a person born on August 11 is Leo ♌ (The Lion) – a fixed sign with Fire as Western element. The ruling planet is Sun – the center of our universe. According to the ancient art of Chinese astrology (or Eastern zodiac), Snake is the mythical animal and Earth is the Eastern element of a person born on August 11, 1929. Fun fact: The birth flower for 11th August 1929 is Poppy for preparedness. What is the Love Match for Aug 11, 1929? When it comes to love and relationship, you are most compatible with a person born on July 26, 1949. You have a Love Match compatibility score of +120. Imagine being in love with your soul mate. On the negative side, you are most incompatible with a person born on May 14, 1941. Your incompatibility score is -140. You’ll be like a cat and a dog on a love-hate relationship. Arf-arf, I want to bite you. Meow-meow, stay away from me! What is the popular baby name on 11 Aug 1929? Here’s a quick list of all the fun birthday facts about August 11, 1929. Celebrities, famous birthdays, historical events, and past life were excluded. Try another birth date of someone you know or try the birthday of these celebrities: December 17, 1981 – Tolgahan Sayışman, Turkish model, television host, and actor; February 7, 1948 – Jimmy Greenspoon, American singer-songwriter and keyboard player (Three Dog Night) (d. 2015); November 5, 1963 – Tatum O'Neal, American actress and author.